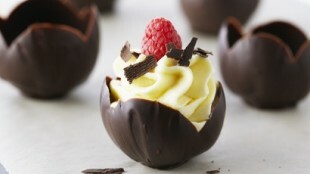 In episode Chocolate Mousse of TV show Bake with Anna Olson prepares Anna Olson recipe for Chocolate Mousse Cups. 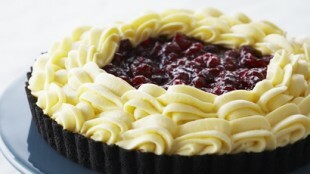 In episode Chocolate Mousse of TV show Bake with Anna Olson prepares Anna Olson recipe for White Chocolate Cranberry Mousse Tart. 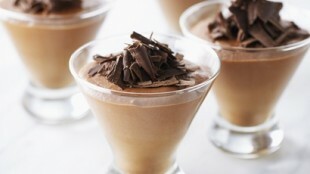 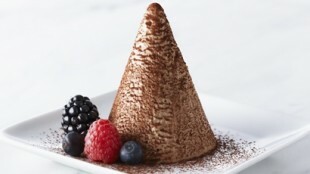 In episode Chocolate Mousse of TV show Bake with Anna Olson prepares Anna Olson recipe for Classic Dark Chocolate Mousse.